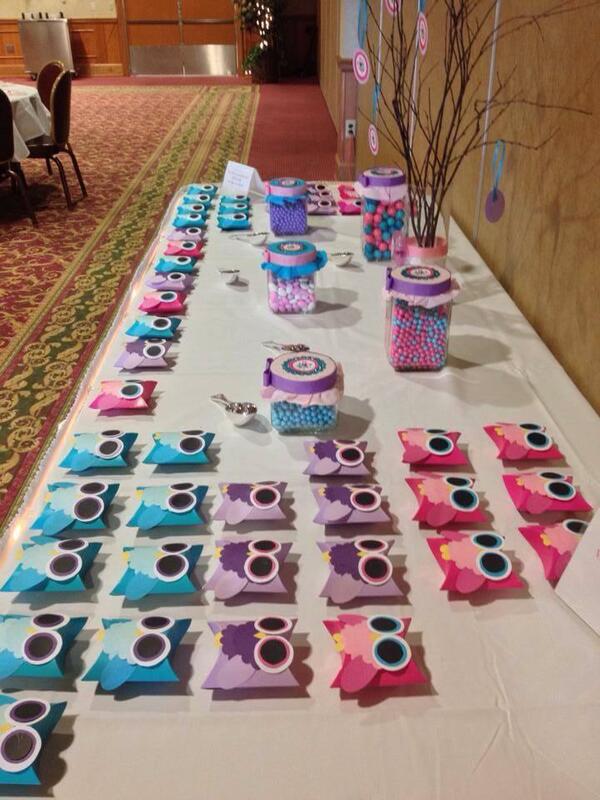 Whoooo could ask for more cute Owl Themed Baby Shower than this one? 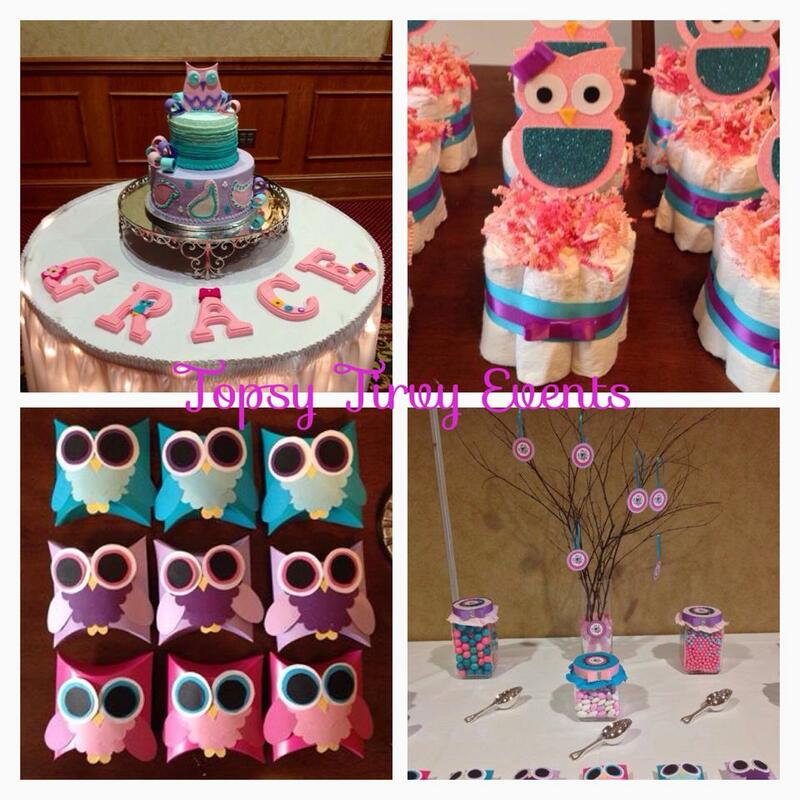 So whoooo is responsible for all of the details of this adorable party? 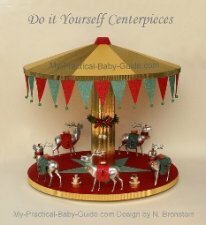 Aileen from Topsy Turvy Events is the woman behind all these wonderful ideas, scroll down to read what she has to say. 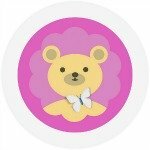 Hello everyone my name is Aileen and I'm the owner of Topsy Turvy Events. 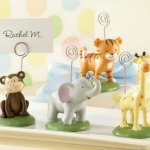 Here is a baby shower I did for a good friend of mine. 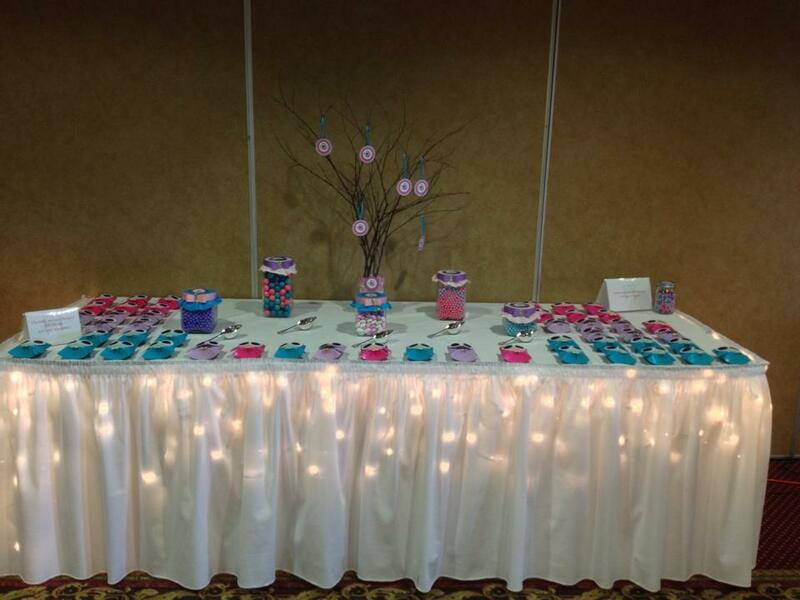 The event was held at Shady Maples Banquet Hall. 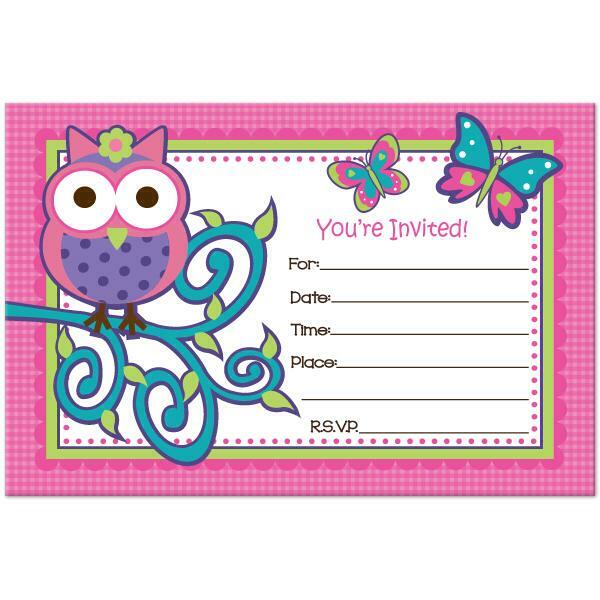 Lilly (my friend) and I choose this adorable owl theme together. She wanted to incorporate the colors pink, purple and teal. 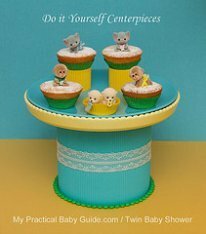 Our inspiration was her baby shower invitation. 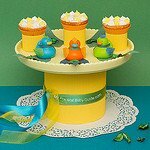 To go along with the theme I hand crafted 8 mini diaper cakes centerpieces using diapers, tied them with a ribbon. On top I have placed a shaped owl made from cardstock. 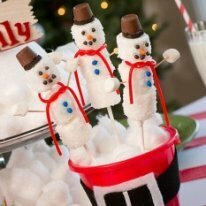 These were a big hit! 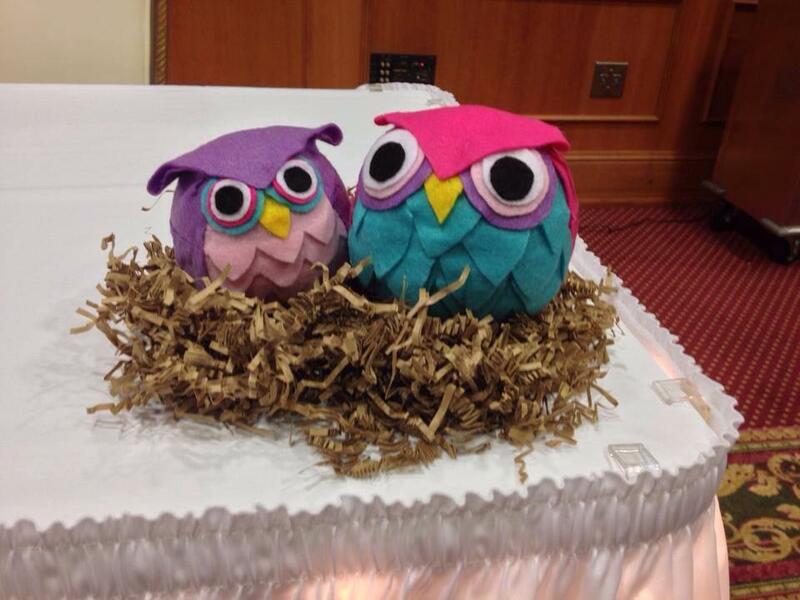 I found pillow boxes and created "baby owls". We have asked the guests to fill them up with candy. 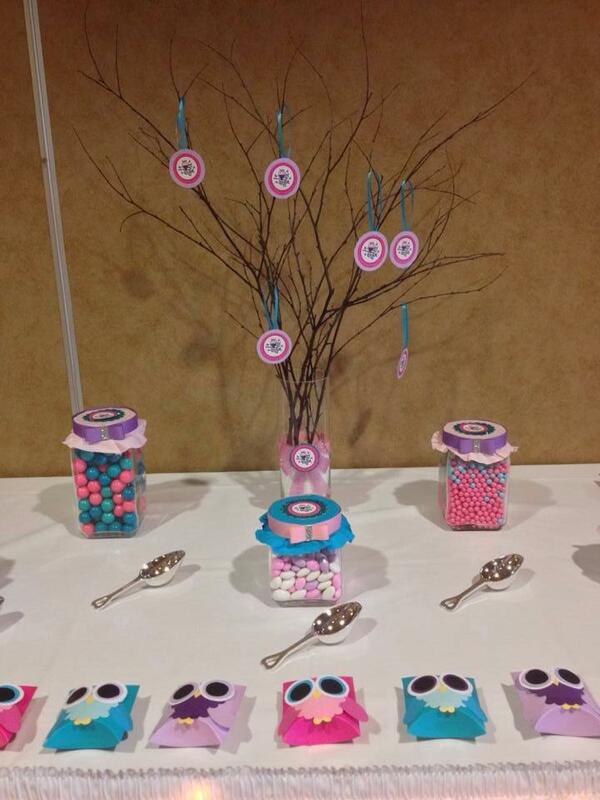 Each candy jar was decorated with fabric and ribbon along with some sparkle! What girl doesn't love sparkle! 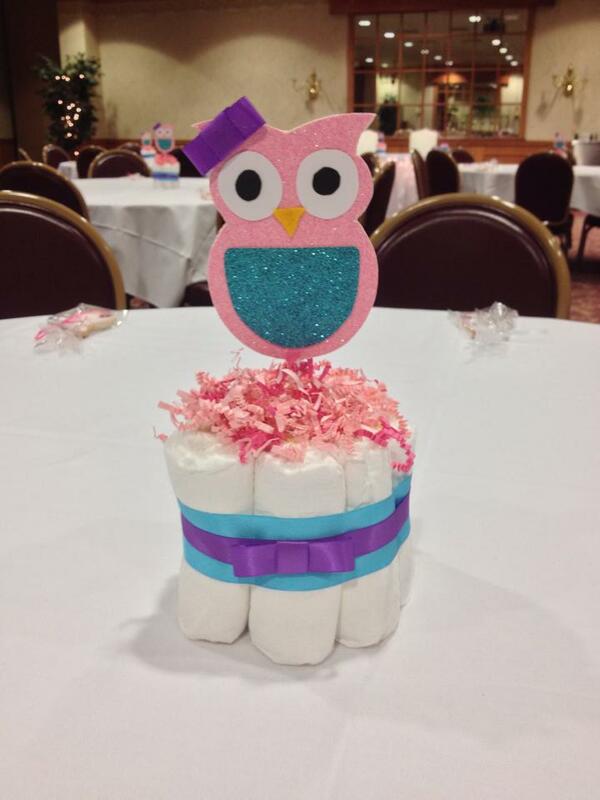 Below is a 16 inch owl diaper cake that looks like an actual owl. 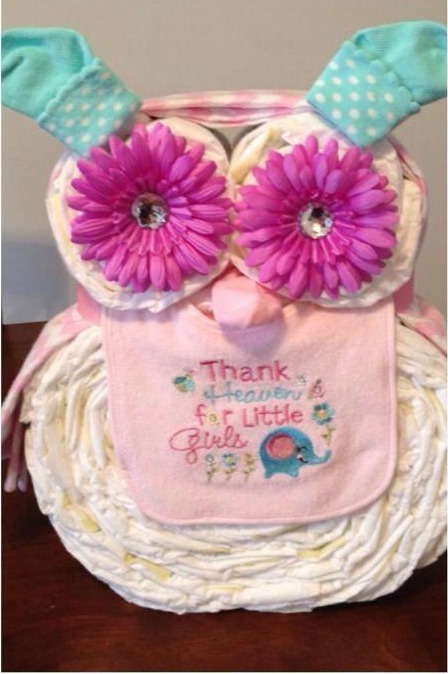 I used rubber bands to hold it together, then used receiving blanket, baby socks, a baby bib and flower with a touch of bling! The amazing cake made by Shady Maples Bakery themselves. 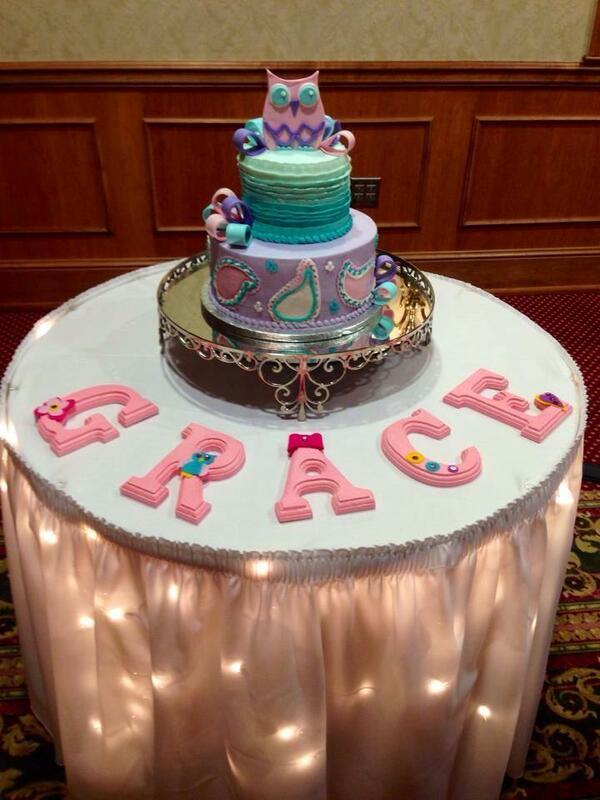 The wooden letters were hand painted and felt shapes were added for a pop of color. My favorite piece by far was the felt mommy and baby owls in a nest. Each piece cut out to fit the foam ball perfectly. Using coordinating colors of course. As the "nest" I used shredded brown paper. 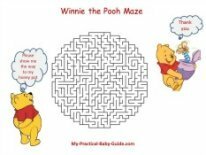 It seemed to work well. 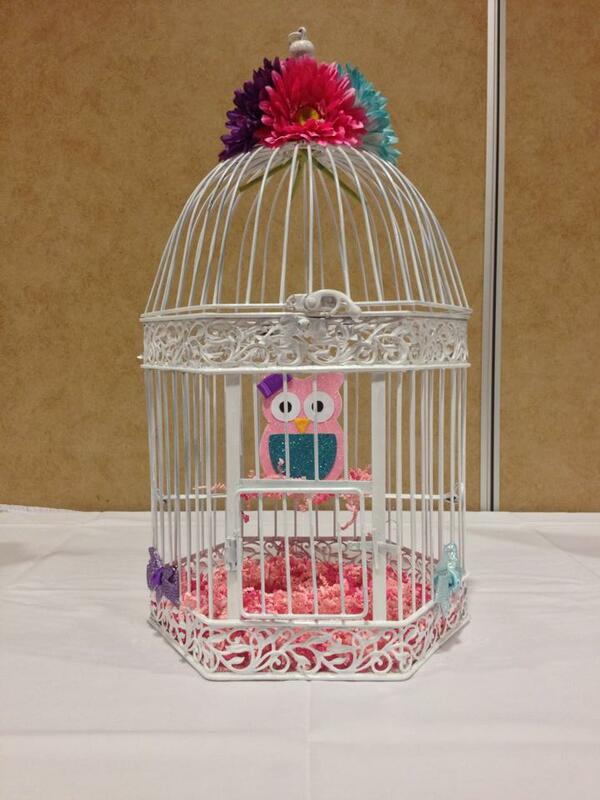 And finally the bird cage with the baby owl inside. 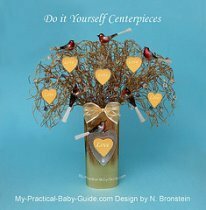 I used gerber daisies to decorate the top and added shredded pink paper for the bottom. Guest really enjoyed and appreciated all the small details at this event!